Memorial Day weekend is an opportunity to enjoy some of your favorite warm-weather pastimes (or embark on a weekend getaway from the city). If you happen to be sticking around Chicago, you won't have to look far to find activities to fill the three-day weekend. 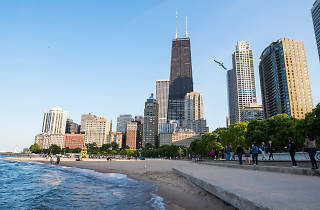 There's a gigantic parade in the Loop, the city's beaches officially open for the season and there are lots of places to have a beer outdoors. 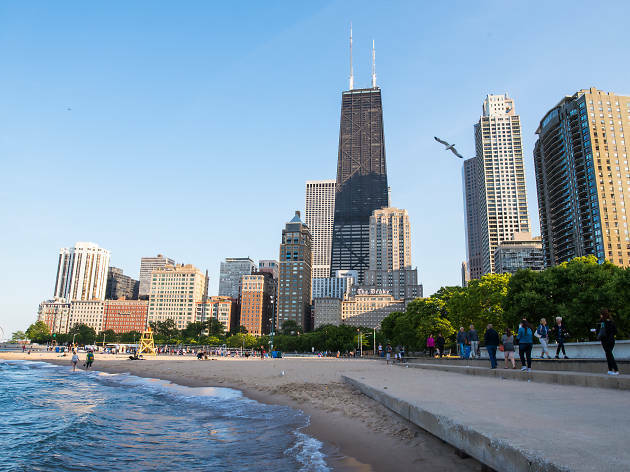 While you're admiring the sunny skies, make the most of your extra day off with our guide to the best things to do over Memorial Day weekend in Chicago. Didn't get invited to a backyard cookout this weekend? Join this block party in Ravenswood, where neighboring breweries Begyle and Dovetail join forces at Mayfestiversary—a two-day summer bash stocked with food from DönerMen and Paulina Meat Market, live music and enough locally-produced beer to quench the thirst of everyone in attendance. Begyle Brewing Company, 1800 W Cuyler Ave. May 26, 27 11am–8pm; free. You'll have to get up extra early (5:30am) on a holiday weekend to enjoy a few hours of pedaling on one of Chicago's most scenic roads during Bike the Drive, but the car-free experience is worth losing a few hours of beauty sleep. You'll be able to ride from Edgewater to Hyde Park on Lake Shore Drive and the only traffic you'll have to contend with is other cyclists. Lake Shore Drive. May 27 5:30–10:15am; $66. A traditional Mexican sauce takes the spotlight at Mole de Mayo, where local chefs cook dishes that are doused in variations on the hot chili and chocolate concoction. Once you're full, you can stick around for live music or sit ringside for a "professional" wrestling exhibition. S Ashland Ave and W 18th St. May 25 5–10pm, May 26, 27 noon–10pm; free. Ron Trent, Louie Vega, Ron Carrol and other notable DJs fire up their turntables at the Chicago House Music Festival, which celebrates the homegrown genre with a downtown dance party. Attendees can groove along to sets on three stages or shop for tunes to take home at a vinyl record fair. Millennium Park, 201 E Randolph St. May 26 1–9pm; free. It's the closing weekend of The Gentleman Caller, a play that explores the relationship between fellow playwrights, gay men and alcoholics Tennessee Williams and William Inge. In his five-star Time Out Chicago review, writer Alex Huntsberger called the production "utter, tragic perfection." Raven Theatre, 6157 N Clark St. May 25, 26 at 8pm, May 27 at 3:30pm; $43–$46. Instead of going for a jog in your neighborhood over Memorial Day weekend, why not imagine that you've been drafted by the Chicago Bears at the Soldier Field 10 Mile? The race begins and ends in the lakefront stadium, which should be enough incentive to plow through the Lakefront Trail course as quickly as possible. Soldier Field, 1410 Museum Campus Dr. May 26 at 7am; $89. After listening to "Landslide" at your Memorial Day cookout, you'll probably be in the mood for a trip to Rhiannon, the Fleetwood Mac-themed pop-up bar that recently debuted at the Rookery. Sip a color-changing pisco concoction called Seven Wonders in a room filled with crystals, occult tomes, prayer candles, skulls and a tarot card reader. The Rookery, 2109 W Chicago Ave. May 25 9pm–2am, May 26 9pm–3am, May 27 2–6pm; free. Just in time for Memorial Day weekend, the debut of the Museum of Science and Industry's new exhibit "The Science Behind Pixar" allows you to take a behind-the-scenes look at how movies like Toy Story, Up and The Incredibles were made. The interactive exhibit showcases the technology that animators use to bring characters to life and the mathematical principles that make them possible. Museum of Science and Industry, 5700 S Lake Shore Dr. May 26, 28 9:30am–5:30pm, May 27 11am–5:30pm; $21.95–$33.95. Lane Tech hosts its annual Memorial Day Carnival, bringing a Ferris wheel, a Tilt-A-Whirl, the Zipper and more classic rides to a parking lot outside of the Roscoe Village high school. Admission to the event is free, but you'll have to spend some cash if you want to enjoy dizzying aerial views of the surrounding neighborhood. Lane Tech College Prep High School, 2501 W Addison St. May 25 5–10pm, May 26, 27 noon–10pm, May 28 noon–8pm; free. After three days of grilled meats, cold beers and outdoor activities, finish Memorial Day weekend by standing around inside the Empty Bottle at a free Monday-night show featuring local guitar-pop band Clearance, indie outfit Fran and lo-fi rocker Ruins. Empty Bottle, 1035 N Western Ave. May 28 8:30pm; free.